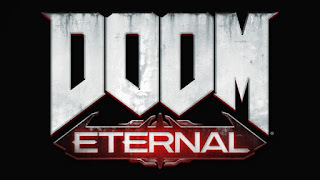 During the Bethesda E3 conference, Doom Eternal, the squeal to Doom (2016) was announced. Promising hell on earth and twice as many demons, the brief teaser showed skyscrapers choked by giant tentacles and a very familiar double-barreled shotgun. Details were scarce, but a more thorough look at the game is coming at QuakeCon this fall. UPDATE 8/13/18 - During QuakeCon 2018, Bethesda revealed gameplay for Doom Eternal, which you can see in the video below. The team at ID is aiming for 1080p 60FPS and 30FPS on Nintendo Switch. Yes that's right, Doom Eternal is coming to Nintendo Switch on the same date at PS4, Xbox One and PC. The date is unknown but we do know that the Nintendo Switch version will be handled by Panic Button, the amazing studio be hide the Doom 2016 and Wolfenstein ports.